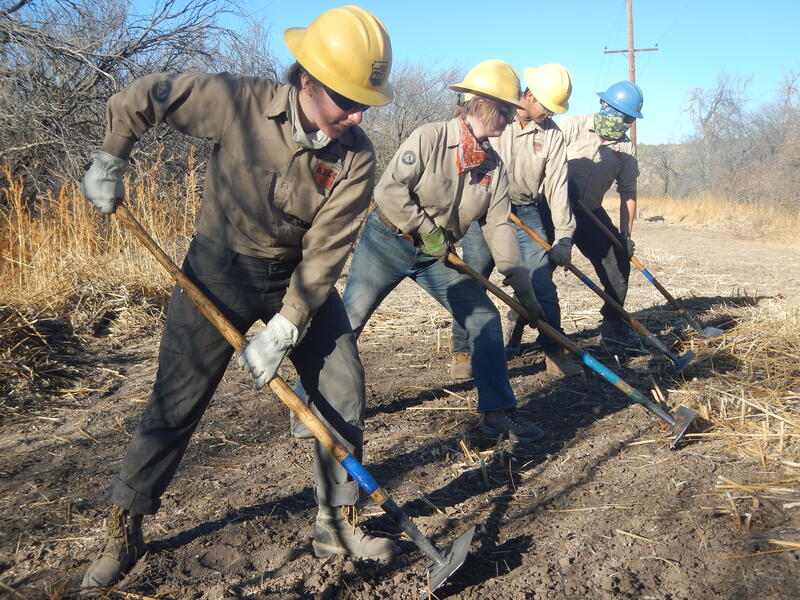 Every year, Service and Conservation Corps across the country engage thousands of AmeriCorps members. 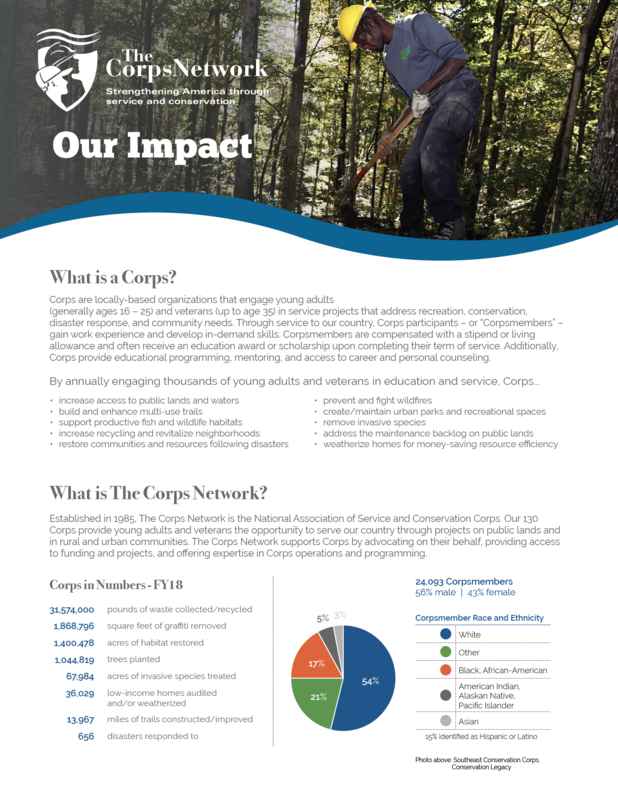 This year alone, The Corps Network’s AmeriCorps Education Awards Program and Opportunity Youth Service Initiative will enroll more than 3,000 young adults and veterans in service to our communities and public lands. 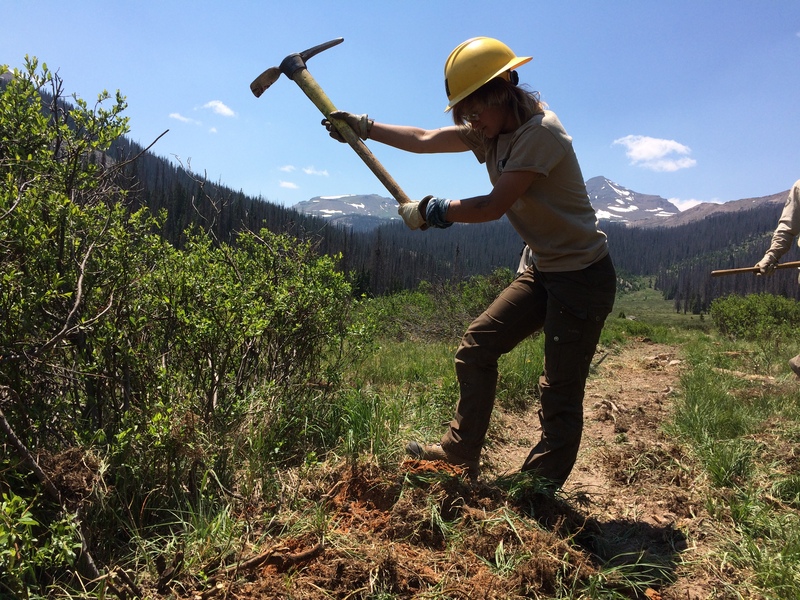 To celebrate AmeriCorps Week (March 11 – 17, 2018), we’re highlighting some of the many ways AmeriCorps members at Service and Conservation Corps #GetThingsDone for our country. Where is this Corpsmembers serving? How does this AmeriCorps member #GetThingsDone? What skills are they learning/using? This member is learning about proper chainsaw operation and safety, as well as plant identification skills. Where did this Corpsmember serve? 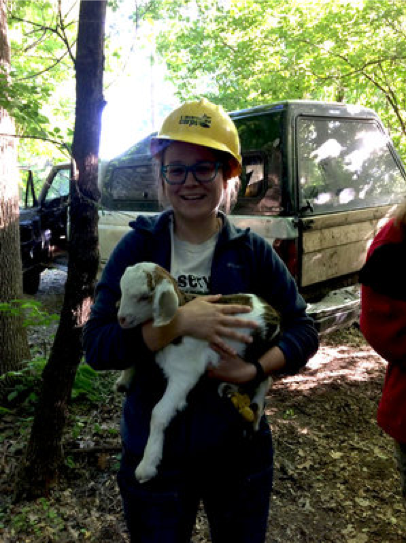 Addie manages invasive species by working with goat contractors to prepare sites, set up fences, put signs up in order for goats to eat buckthorn and other invasive species. Where is this Corpsmember serving? Tamara conducted two research projects. 1- She studied migratory patterns and behaviors of the Northern Long Eared Bat. 2- She learned how to remove and test lymph node samples from deer to study the presence of Chronic Waste Disease. What skills did she learn/use? Field work, including: how to set up thermal & infrared cameras; how to use an Echo Meter app to identify batt calls; and how to remove & prepare lymph node samples from deer. Ryan Schilling was an Individual Placement member with the Minnesota Department of Natural Resources (based out of St. Paul, MN). Ryan managed a River Level Reporting project, which resulted in a much more detailed and useable product for paddlers to make well-informed decisions before visiting a water trail. Where are these Corpsmembers serving? 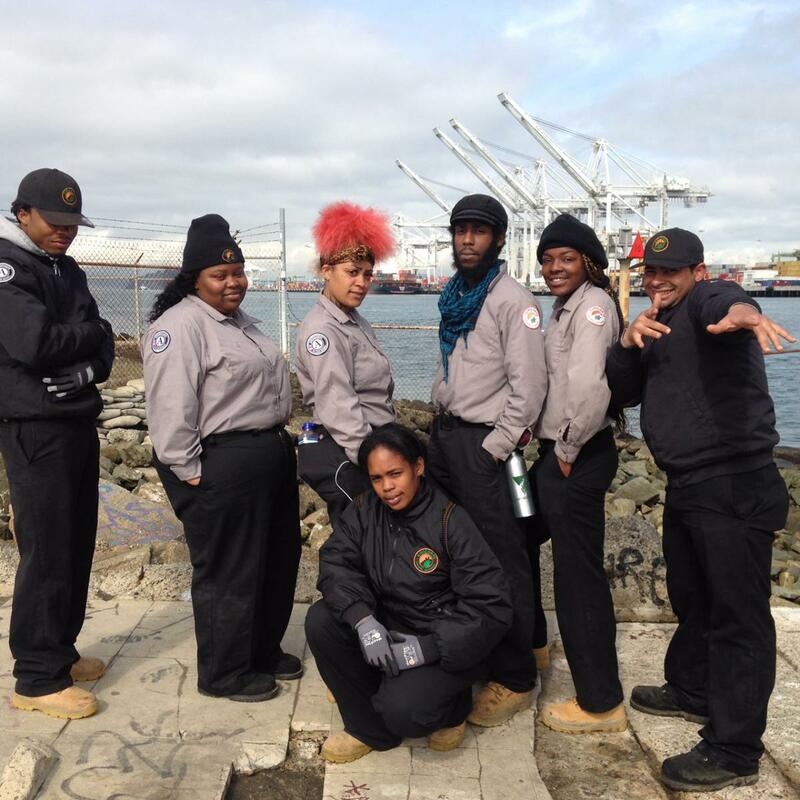 How do these AmeriCorps members #GetThingsDone? Severe winter weather in North Central Montana and along the Rocky Mountain Front has caused the Blackfeet Nation and the State of Montana to declare a state of emergency. The communities of Browning, Heart Butte, East Glacier, Babb, and St. Mary have been especially hard hit. Heavy snowfall accompanied by winds as high as 65 miles per hour – blizzard conditions – has caused drifts as high as six feet in some areas, shutting down roads and trapping people in their homes. On the Blackfeet Reservation, schools have been closed and residents are running out of food. 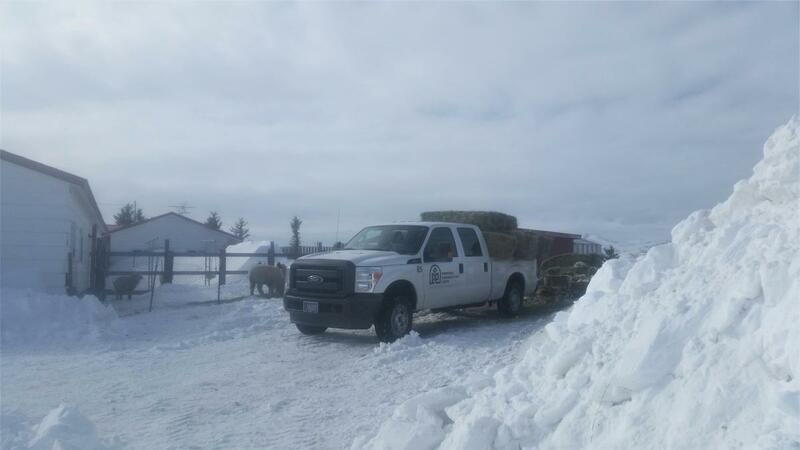 MCC Northern Rockies Office sent a relief crew whose members shoveled snow, delivered firewood, and helped out in whatever way they could. 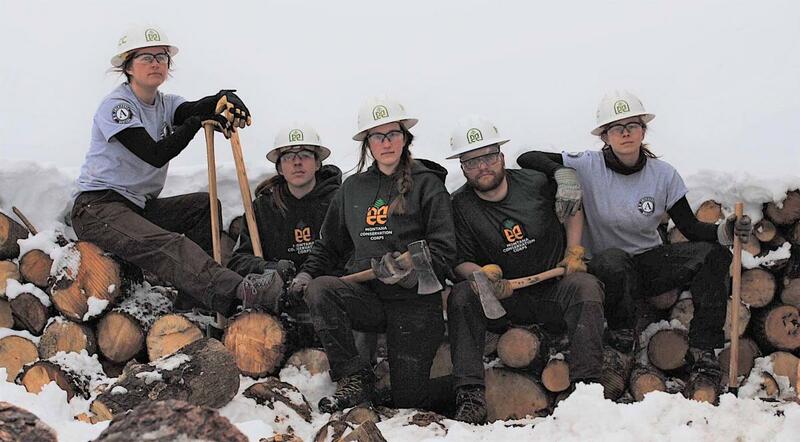 In a nice confluence of events, MCC Crew Leaders were able to add the load of wood they cut and split at the Lost Trail National Wildlife Refuge to the firewood donated by UMCOR – United Methodist Committee on Relief – to the load they delivered to the Blackfeet. Pictured are Daniel Silvia and Nordesia Walters-Bowman. 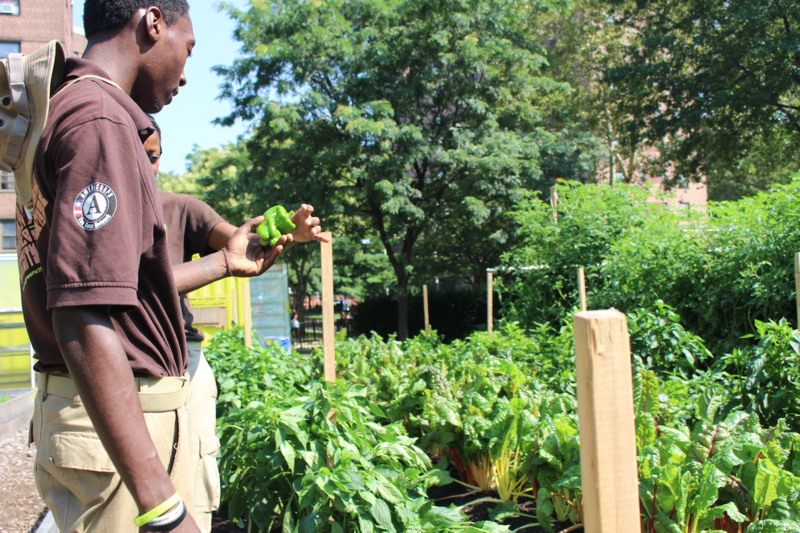 They are inspecting the produce on Farm Stand day at the Howard Houses Farm, located at a New York City Housing Authority Development. Urban Farm Corps Members learn to build and operate urban farms and develop important skills through interacting with the public. They distributed nearly 20,000 lbs. of organic produce in 2017 at weekly Farm Stands across four Farms on New York City Housing Authority (NYCHA) properties. How does this AmeriCorps members #GetThingsDone? 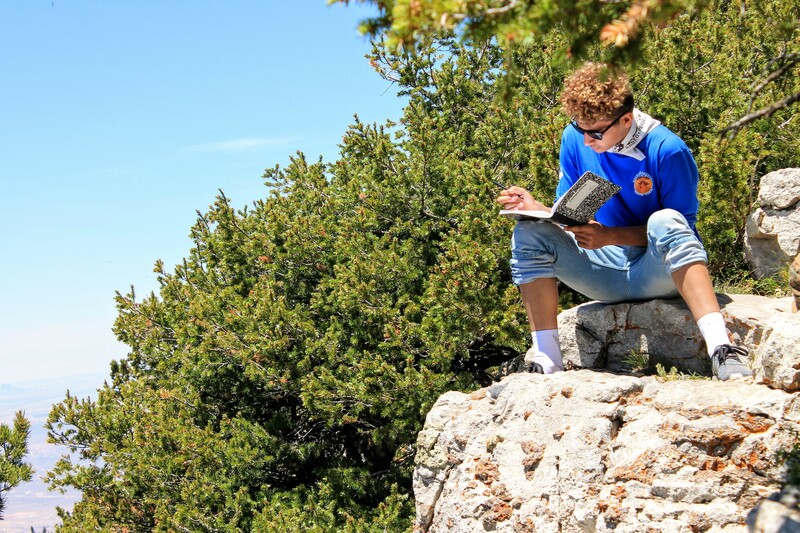 This member is journaling during a break on the Crest Trail as part of their Individual Development Plan (IDP), a tool used with all RMYC members to help them build S.M.A.R.T. goals and build on their experience at the Corps to help them launch a career. These members are partnering with the City of Albuquerque in the Piedra Lisa recreation area. These members are participants in our ASL Program and are working to open up the trail corridor and clear branches and debris from the trail. 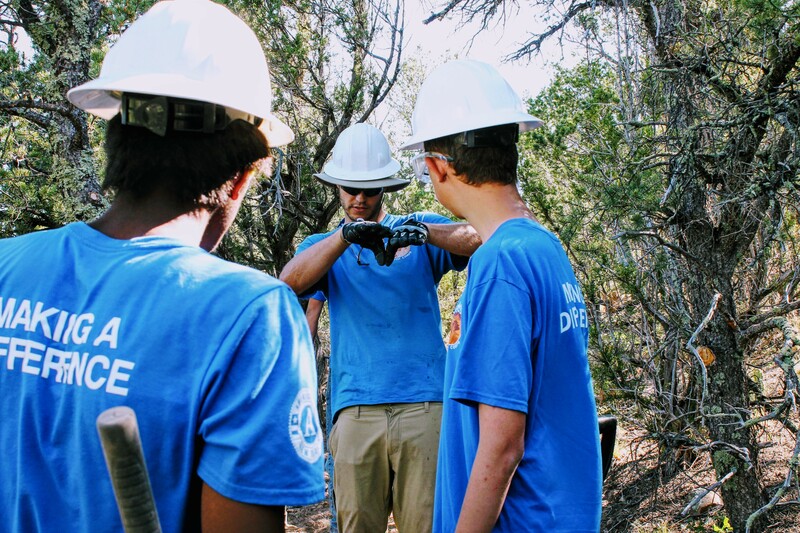 In addition to learning about trails and trail maintenance techniques, member are learning through American Sign Language and broadening their vocabulary in the conservation field. This member is part of a two-year project to restore trails and build retaining structures to prevent further trail damage. 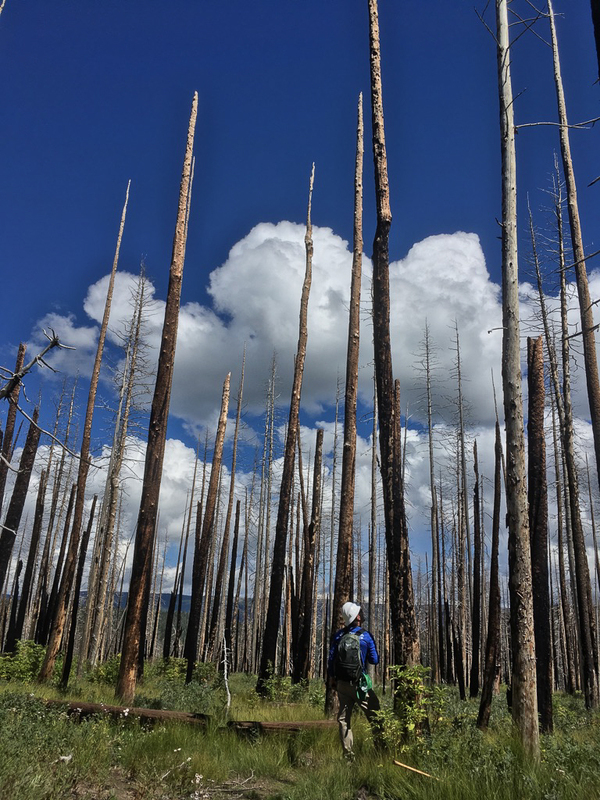 In this picture, the member is looking for hazard trees that could pose a danger to the crew while they work in the burned area. During a typical spike, members spend 10 hours a day working on trails and engaging in professional development trainings related to trail design, maintenance and construction. During the evening, members work together on meal preparation and life skills trainings such as leadership, conflict resolution or thinking about next steps after the Corps. 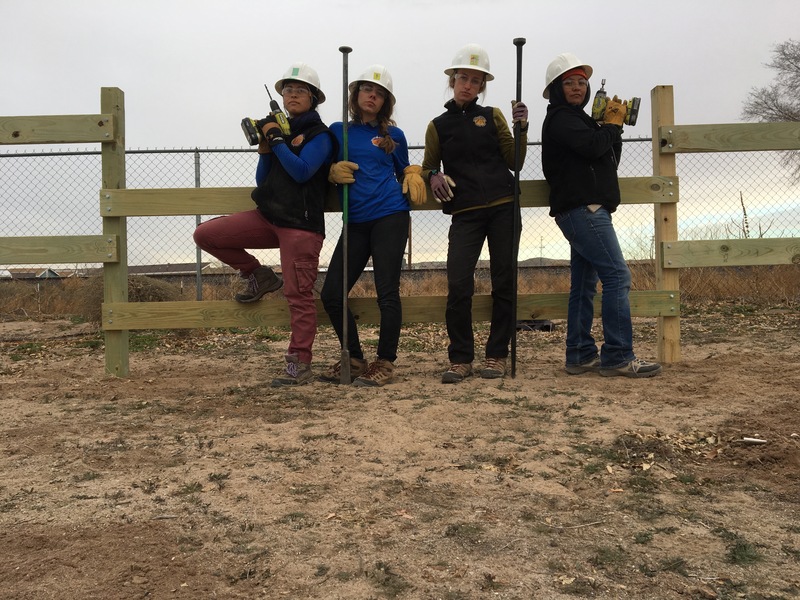 This crew was tasked with building two miles of wildlife-friendly fence as one of the first components to a major restoration project as the brand new refuge takes shape in Albuquerque’s South Valley. This crew is not only learning about power tools and the safety protocols associated with working on federal land, but are also engaged in RMYC’s Urban Conservation Corps. This program focuses on getting urban young adults exposed to and interested in federal jobs working with federal land management agencies. A critical component of this program in ‘Mentor Mixer’ day: think of speed-dating with mentors! Members are paired with federal employees that work with different agencies in a variety of fields – from HR, to accounting, to law enforcement and park rangers. This program allows Corpsmembers to see the vast array of employment options with the Corps’ agency partners. 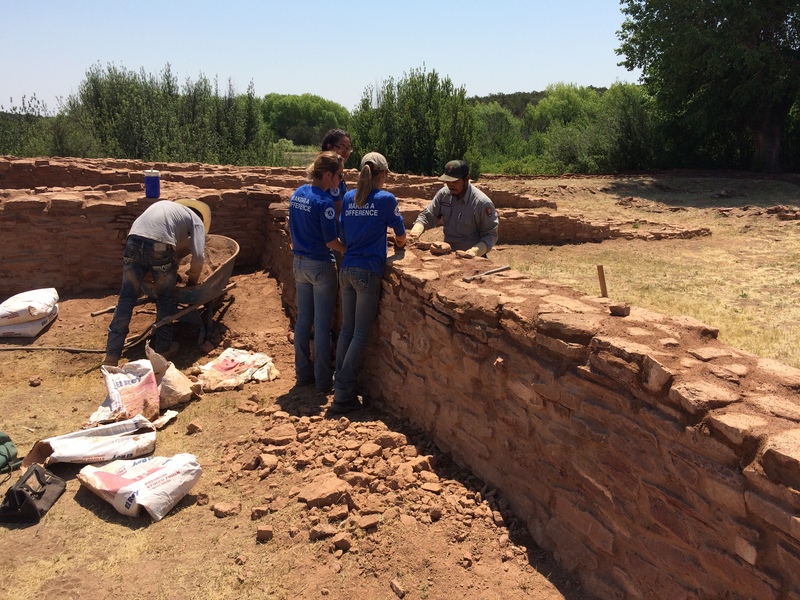 This summer crew was involved in historic preservation in the park. They helped restore some of the ruins the park is tasked with protecting. This crew was trained by park staff in the methods unique to working with a variety of natural materials and ancient techniques that were used thousands of years ago to build the missions. Along the Continental Divide Trail (Rincon La Vaca Trail) in the Weminuche Wilderness on the San Juan National Forest. 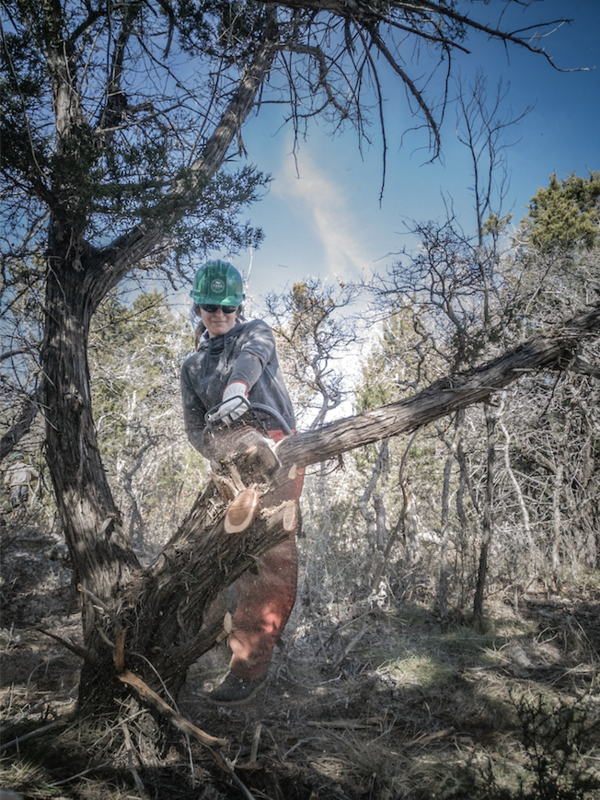 For the last two years, SCC crews have spent a combined 130 Days in the backcountry building a more sustainable trail through rocky slopes and wet marshy areas. This is to accommodate heavy use from through hikers, hunters, and backcountry horse men/women. On a side note this is the 50th Anniversary of the National Trails System and the 40th Anniversary of the CDT. It’s important to highlight this, as well as the Corps’ efforts working on the CDT over the years. Backcountry travel, leadership, geology, alpine ecology, technical trails (rock work and sustainable trail construction), teamwork, communication, and a plethora of other things you learn when you are in the backcountry for 15 days at a time. 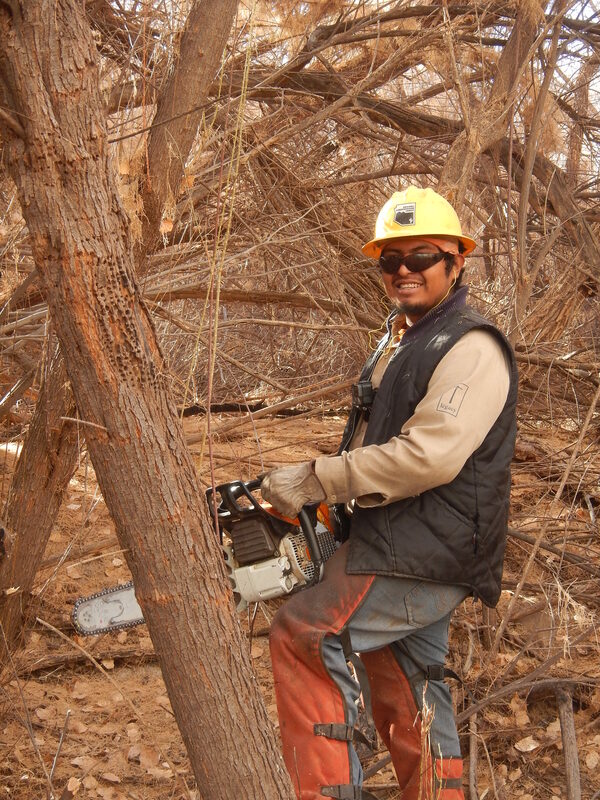 Chavez Ventura (crew 113) from the Tohono O’odham Nation is felling an invasive species of tree (tamarisk) in the Gila River Valley. Helping to restore an ecosystem. AZCC Gila crews are all proficient Class A Sawyers! 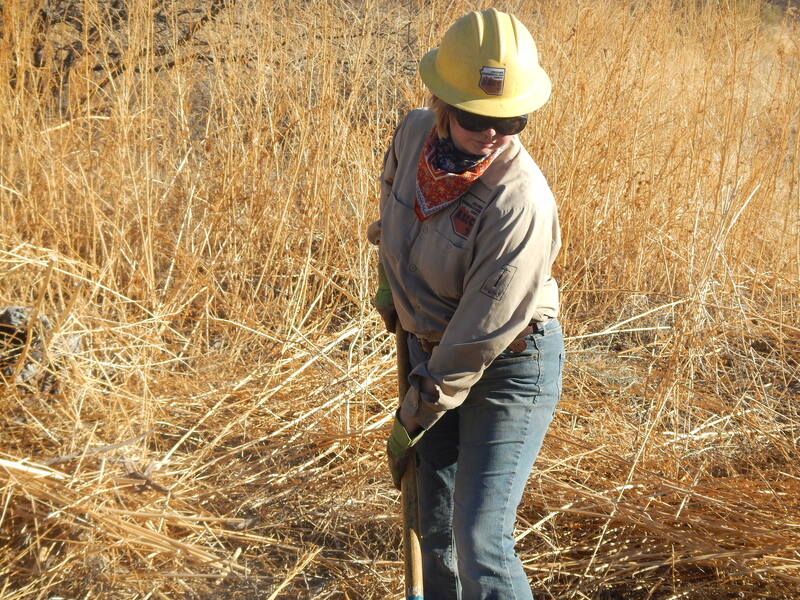 Ashley Childs (crew 110) is using her McLeod tool to clear brush for a fencing project. Knowledge about trail maintenance and how to use trail tools are required. She is also learning how to erect wire t-post fences. The crew members (crew 110) are using their McLeod tools to clear brush for a fencing project. Knowledge about trail maintenance and how to use trail tools are required. They are also learning how to erect wire t-post fences. As the Outreach Coordinator for the Turtle T.H.i.S. Program, Natalia often plans and hosts events like the Hispanic Festival booth. 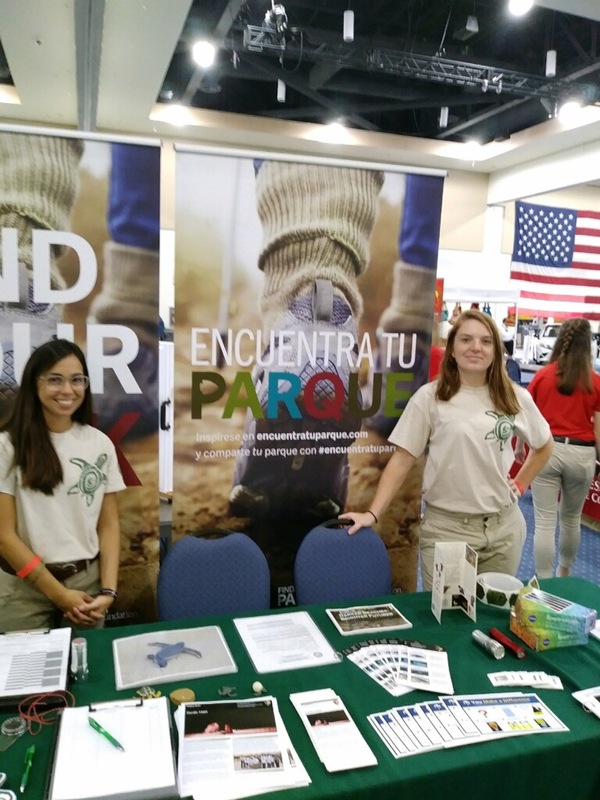 Held at Fort Walton Beach, this event allowed Natalia to interact with many families and local youth who shared their excitement about park programs. Seventeen attendees signed up to volunteer with the park in the future. Participation in events like this provide education and engagement to the local community and help bring support and awareness to the historical, environmental, and ecological elements of Gulf Islands National Seashore. 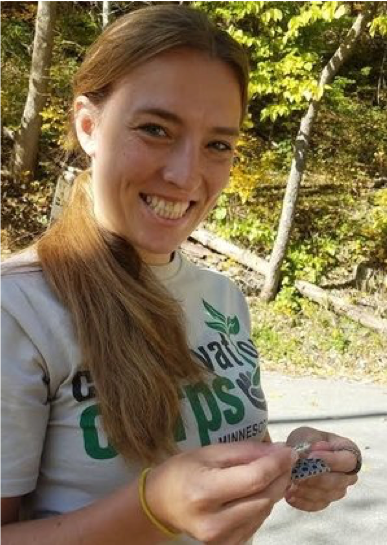 Natalia has gained experience in public speaking, community engagement, volunteer recruitment and management, youth education, and a variety of ecological and zoological data collection and protection activities. 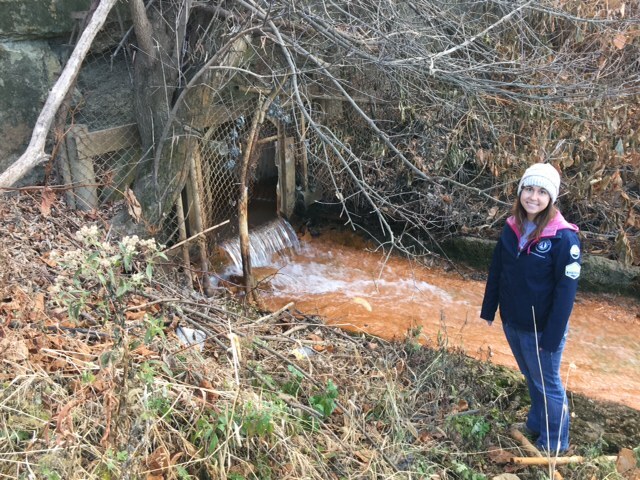 OSMRE AmeriCorps Member Cassandra Forte serves out of the OSMRE Appalachian Regional Office in Pittsburgh, PA. Cassandra focuses much of her effort on water quality testing and outreach initiatives for the office. Cassandra and fellow OSMRE employees have also researched streams at a state park to determine which would be an adequate location for a spring hydrology course. She worked closely with a hydrogeologist to teach approximately 100 7th-grade-students about acid mine drainage. She also spoke to a freshman biology class about OSMRE, AmeriCorps and what she does in her role. A recent site visit to a partner organization allowed Cassandra to assist OSMRE staff in providing requested technical assistance for water quality issues the organization is having in some of their ponds. Cassandra assisted while simultaneously learning about their pollinator program, which she will use in her own project as she works to create a pollinator initiative for abandoned and active mine lands. 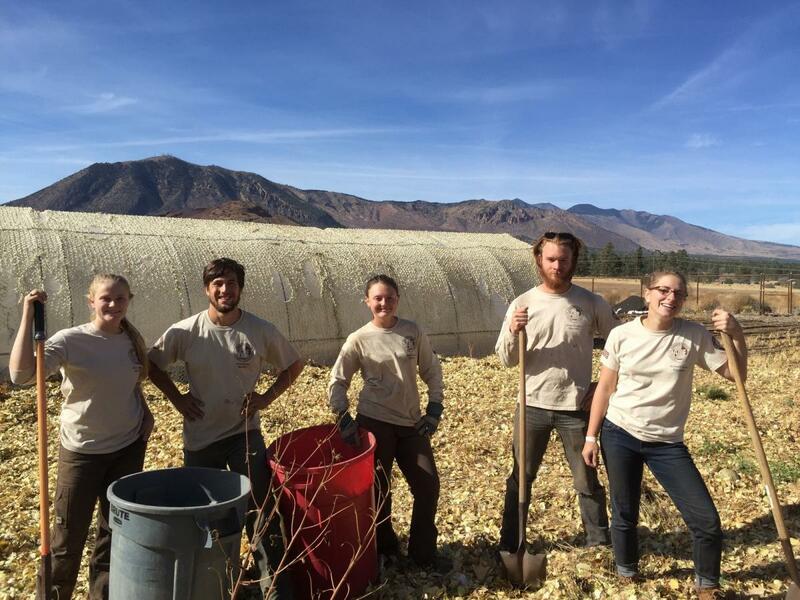 The Flagstaff Family Farm was started in December 2015 to bring the community local produce and eggs. Over 100 ACE members have cycled through since 2016. Corpsmembers have helped build and shape 2,800 linear feet of garden bed and walkway. Additionally, over the course of three months, more than 30 Corpsmembers helped complete three Hoop-Houses. ACE also planted a dozen apple trees and created earthworks to reduce erosion. EarthCorps crew members #GetThingsDone by building green stormwater infrastructure. Rain gardens like this one can hold a lot of water, helping to reduce the risk of flooding in heavy storms. They also help filter toxic runoff, which is critical in protecting wildlife. To build the garden, Corpsmembers dug out the garden basin and added layers of special soils and native plants that will absorb and clean runoff water. They are engaged in invasive plant control as part of salt marsh restoration. 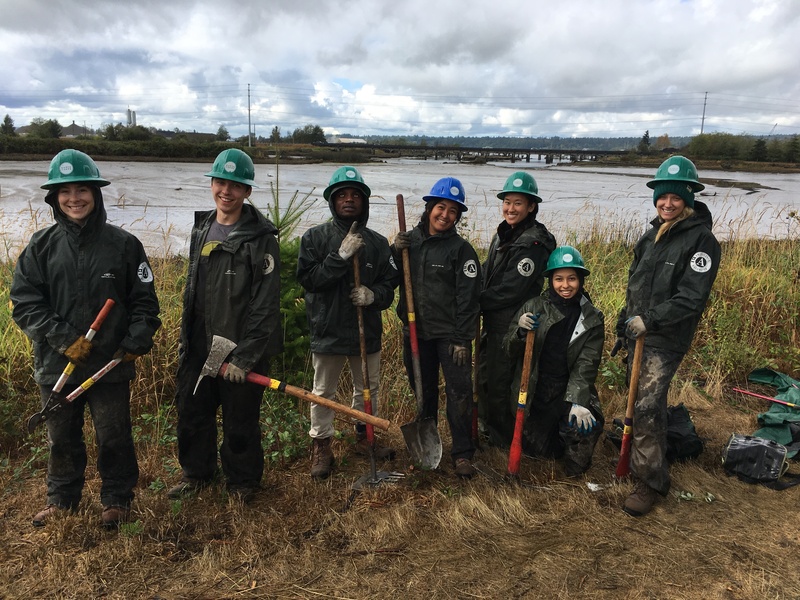 EarthCorps crews worked to control invasive plants, such as spartina, as part of a larger effort to restore salt marsh area in the Stillaguamish River Delta. They learned about invasive plant control, dike removal, native plants, bird habitats, and working in tidal areas. 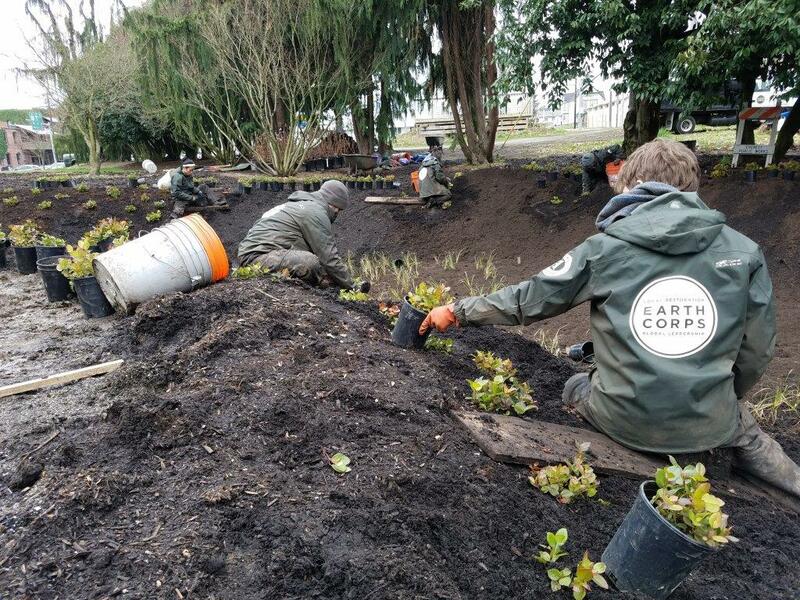 Corpsmembers building a demonstration rain garden at the Brightwater Education Center in Snohomish County, Washington. By constructing a rain garden, Corpsmembers gained experience building green stormwater infrastructure, and helped raise awareness and address water quality issues in the surrounding areas. 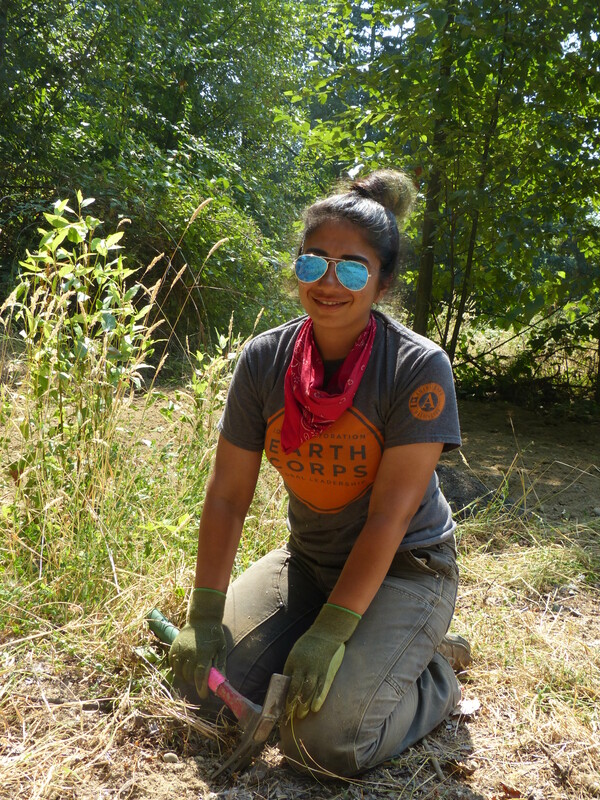 EarthCorps crews work hard to manually control invasive and exotic plants and restore our National Parks. Manual exotic plant control, native seed collection, apple orchard removal, opportunity to learn about National Park Service. Where are the members serving? These are members of the Southeast Conservation Corps Veterans Fire Corps Crew 936. 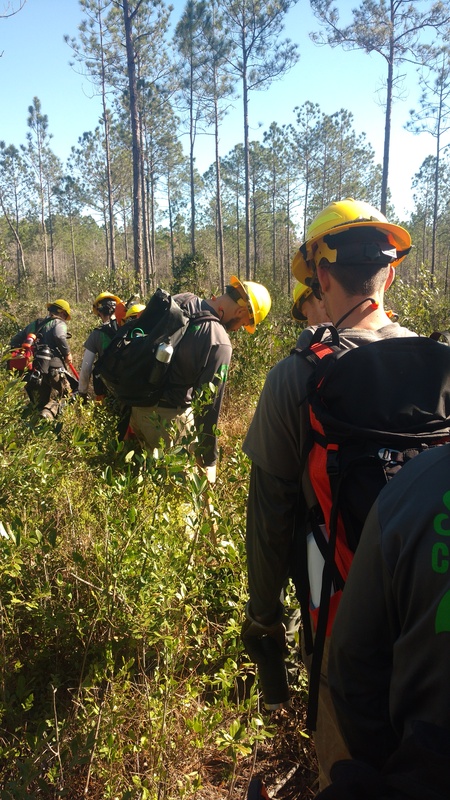 The SECC VFC members are working in the Gulf Coast of MS to assist with Pitcher Plant Bog restoration, fire fuel reduction and prescribed burns to contribute to a healthy forest and mitigate uncontrolled wildfires. 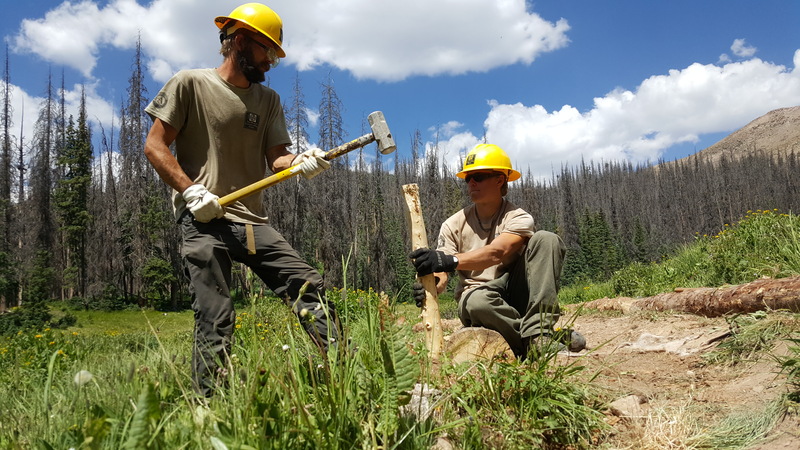 The SECC Veterans Fire Corps program (in partnership with The Corps Network and The Nature Conservancy) provides training and on-the-job experience for post-911 era veterans interested in entering careers and gaining experience in natural resource management. 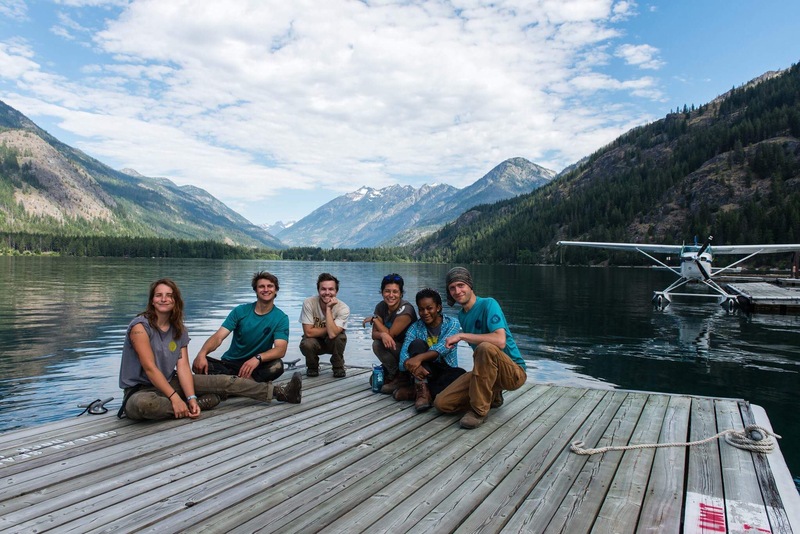 The program engages participants in a cohort environment in which eight members work together to train and complete natural resource management projects, specifically related to fuels reduction and fire fuels management. Participants also gain experience in trail work, invasive species removal, GIS, and other appropriate conservation stewardship work. 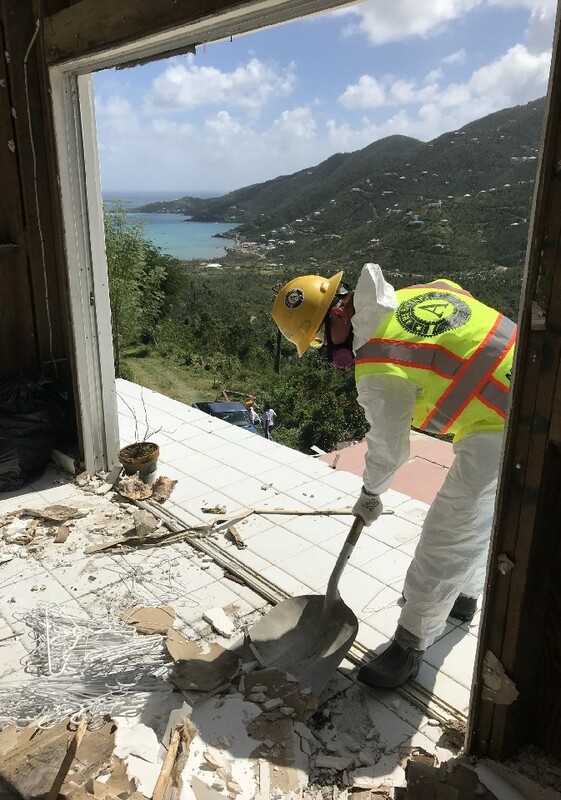 They are assisting communities affected by Hurricanes Irma and Maria, which devastated the regions in Fall 2017. 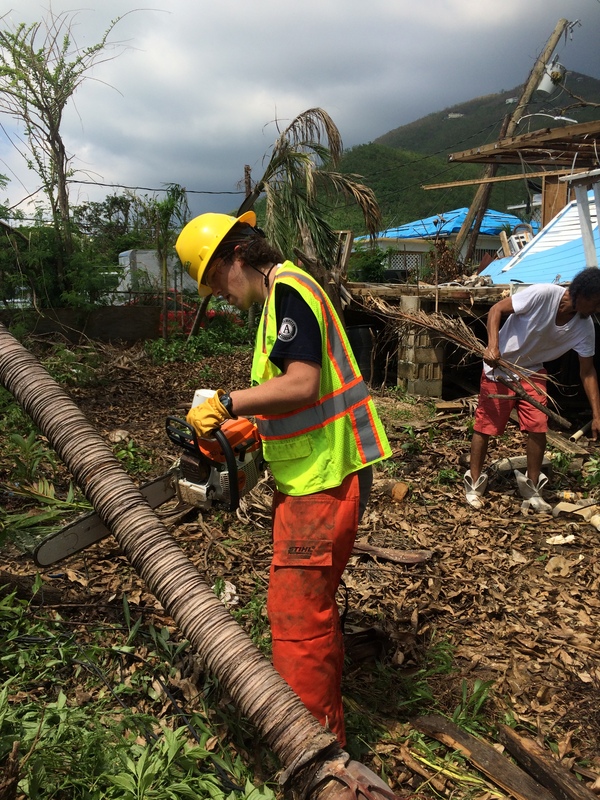 When serving on a disaster response assignment, WCC AmeriCorps members utilize their chainsaw skills to remove hazard trees from homeowners’ yards and local structures. They also take on tough tasks like debris removal and installing roof tarps. They also help manage the outpouring of volunteers and donations in local regions. Individual Placement AmeriCorps members Erin and Keelin recently led a volunteer planting party for their service placement, Skagit Fisheries Enhancement Group. The group of volunteers installed over 300 trees at the site! Leading volunteer events means Erin and Keelin recruit volunteers, arrange tools and logistics, and provide on-site guidance to make sure everyone has a safe, fun and productive time! Planting native trees will help convert the site from a field into a forested area. The interns, Kylie Smith and Nathan Pinckard, as well the project partner Joseph Brandt, are in this image. Joseph Brandt is teaching Kylie Smith how to draw blood from the leg of the Condor while Nathan Pinckard is holding the Condor. 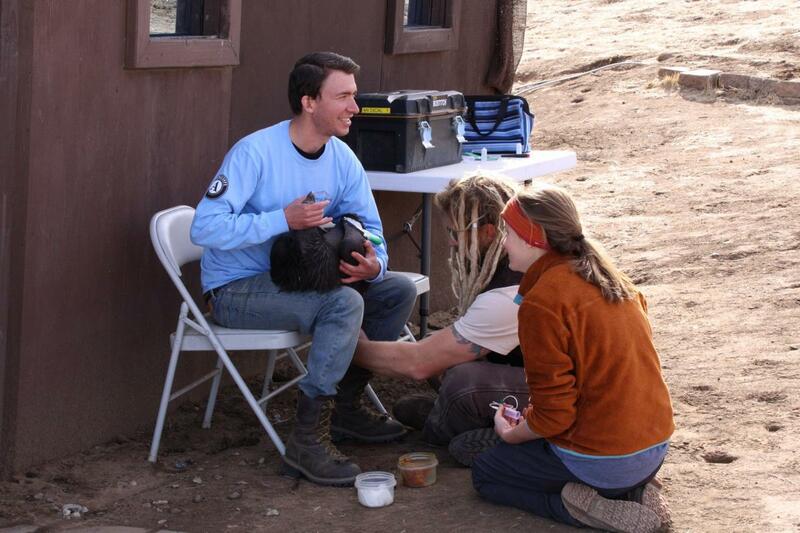 The blood sample is used to check for lead levels of the condors. 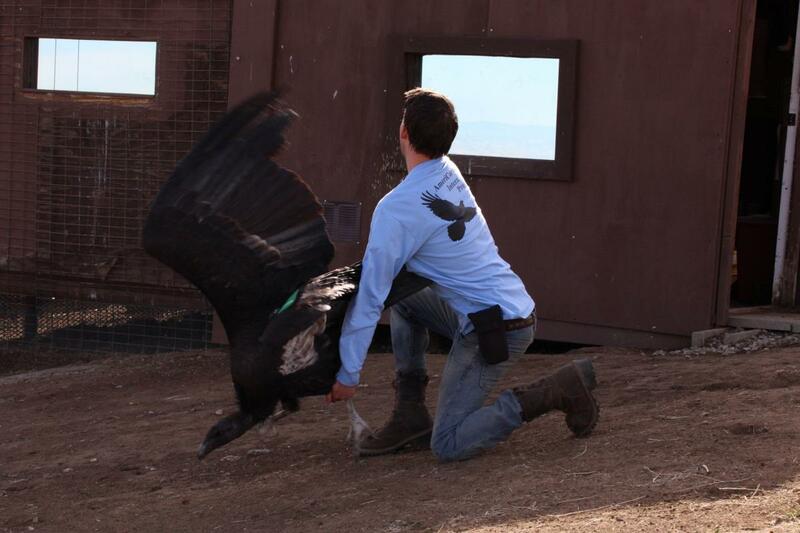 In the second photo, Nathan is releasing a juvenile Condor into the wild. The United States Geological Survey, is looking at what methods work to bring back native perennials but also looking at herbicide application as a way to control the spread of Bromus sp. and Schismus sp. Interns mainly assist with collecting data, assessing the landscape before and after restoration has been implemented and aiding in research for various extensions of the project. 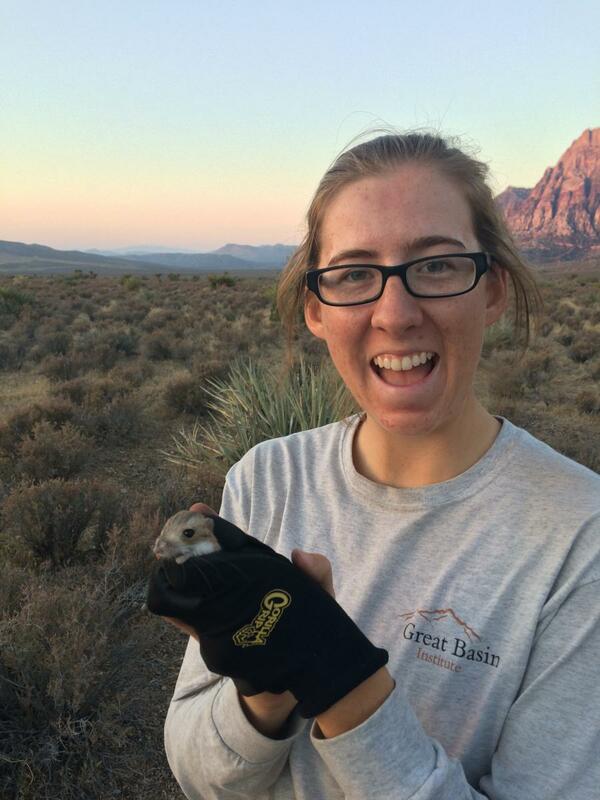 Sarah assists the USGS in the Common Gardens project located in the Mojave Desert in hopes to restore the area that was impacted by the fire while learning novel ways to conduct research. 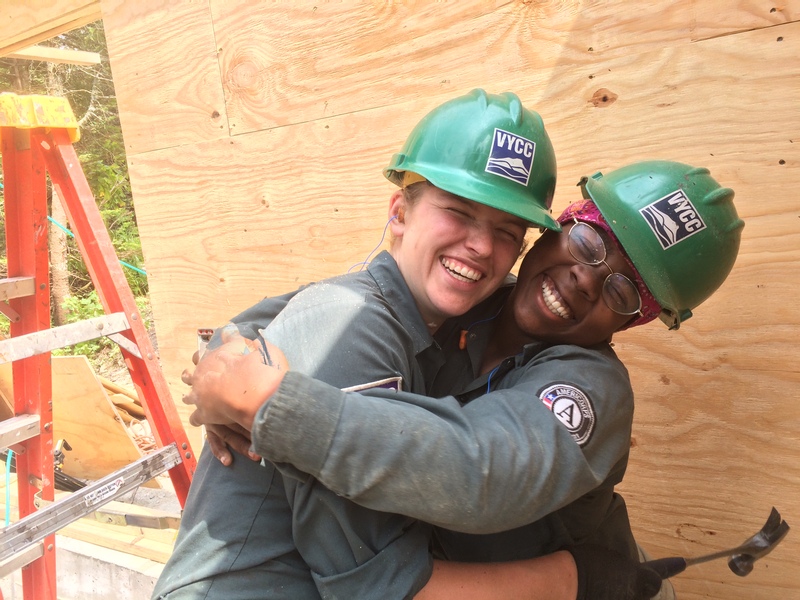 Corpsmembers Maddi Shropshire (left) and Tori Best (right) from our 2017 Americorps 2 Crew show some crewmate love in front of a woodshed they constructed on Mt. Mansfield. In one week, this crew replaced 60 feet of box steps that access a stone hut; helped build this woodshed (with Vermont Forest Parks and Recreation staff and contractors), and built a raised roof for the shed with a weather shield. Through this project, Corpsmembers developed their construction skills, learned important lessons about working with partner organizations, and worked on their communication skills as they coordinated their efforts. 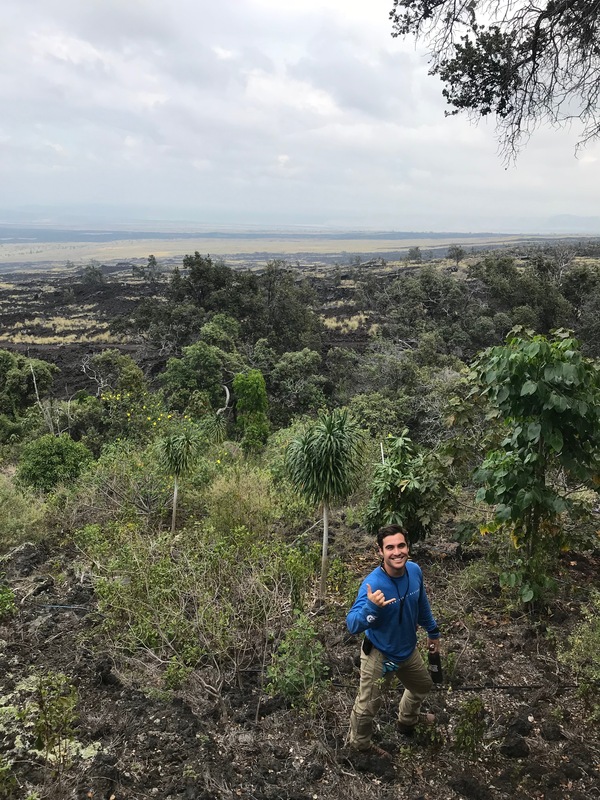 Ethan is working to restore the native dryland forest, which is the most threatened ecosystem in Hawaiʻi. Over 90% of it has been lost due to development, invasive species, and fire. These members are participating in shoreline beautification. Crewmembers collect litter and debris in low tide, helping wildlife avoid toxic items like cigarette butts and plastic. They are learning about the Bay Area’s ecosystems, drainage, and the impact of storm runoff. Additionally, they are learning about team work, communication, and the various steps of project planning. Northwest Youth Corps selected Mathew Zhun to serve with the Army Corps of Engineers for a 675-hour term in October of 2017. 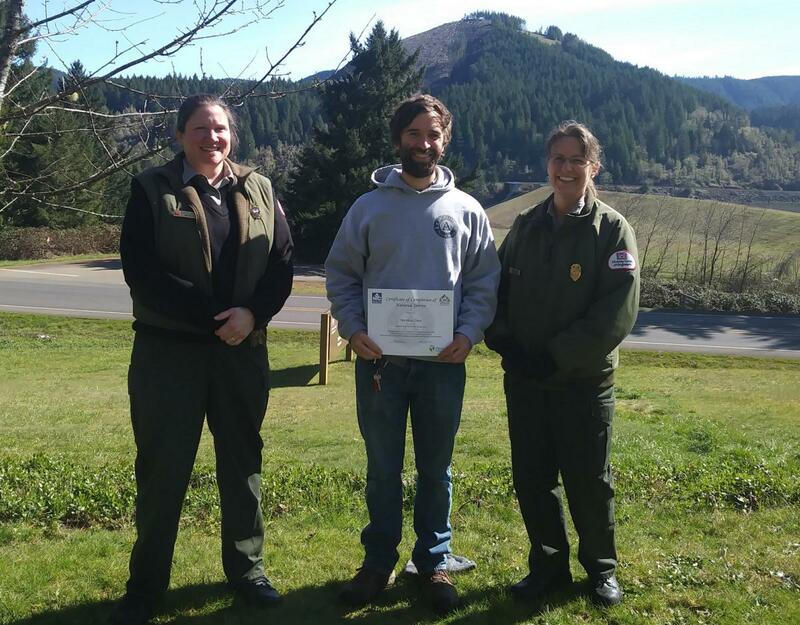 Mathew was providing natural resource management and community outreach assistance with the Recreation Operations section of the Willamette Valley Project for the Army Corps of Engineers. WVP is a large water resource project responsible for operating 13 dams and managing natural resources and recreation in the lakes and surrounding lands at nearly 30,000 acres in the Willamette, McKenzie, and Santiam watersheds. 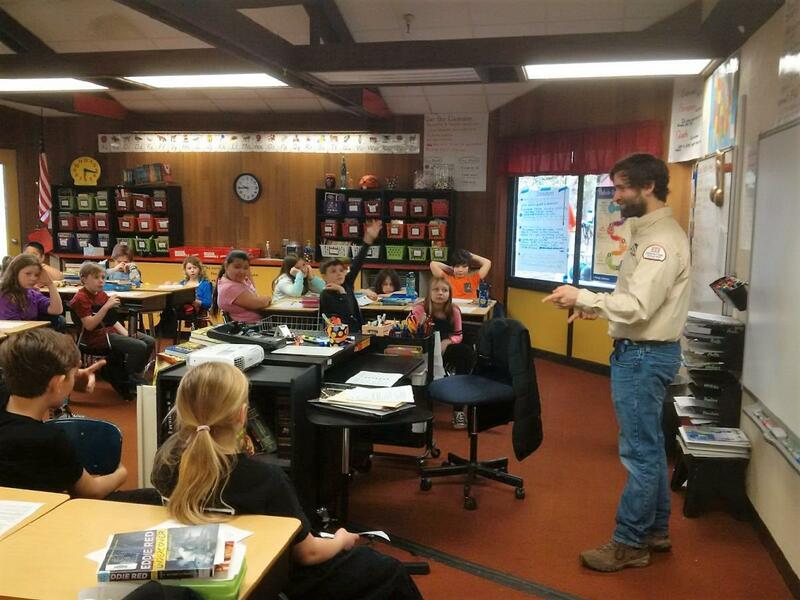 Mathew served with the Cottage Grove, Oregon Recreation Operations Section providing education, outreach, and public safety programming specifically in schools. 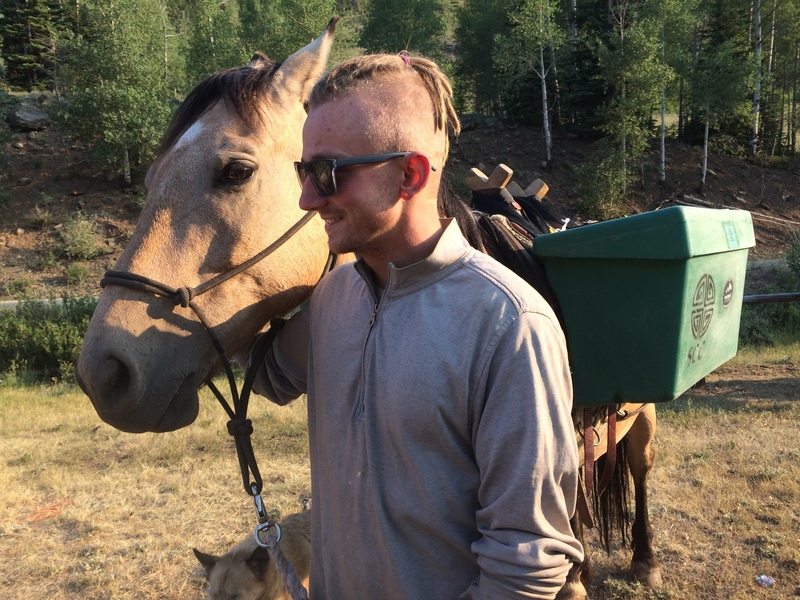 Additionally, Mathew spent half of his time monitoring and improving trails and mitigating exotic vegetation. This included direction of volunteer crews and navigating to monuments for boundary surveys. While Mathew stepped into the internship with extensive field based skills he expanded his knowledge and confidence public speaking and educating various audiences. 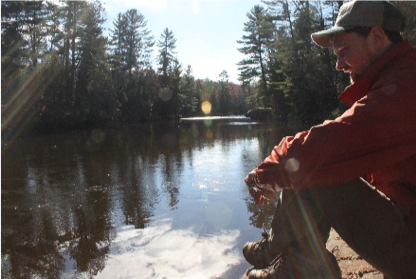 The curriculum he was conveying focused on water safety, field ecology, and Leave No Trace principals. The Army Corps of Engineers is a partner of the “Every Kid in the Park” Program which was created for fourth graders and their families to discover wildlife, resources, and history for free.